Can we predict the T3 Awards 2016 winner from past picks? It's time for the world's biggest and best tech beauty contest, the T3 Awards 2016. It'll be a fierce battle for this year's coveted Best Phone award, with some seriously impressive devices competing for the crown, but how did our previous winners stack up - and did they deserve your votes? Let's find out. We've liked a lot of phones over the years, but we truly loved the W810i. The specs don't look great from today's perspective - it had 20MB of internal memory and support for 4GB of storage via Memory Stick; its camera was 2.0 MP and its screen 176x220 pixels - but in the pre-iPhone era it was one of the most accomplished smartphones around. It looked good, it felt great, it was tough as old boots and it had EDGE connectivity, which was miles better than the crappy GPRS other supposedly smart phones offered. Most excitingly of all, it was a Walkman with superb sound quality. Sony cleverly introduced a music-only mode, the equivalent of today's airplane mode, so you could use your Sony in places where phones were prohibited. It even did video, although not very well. We didn't pick a best phone in 2007, and that meant our next award went to the Good iPhone rather than the 2007 one, which Apple launched without key features such as 3G and GPS. The iPhone 3G silenced the naysayers by addressing the bits the original iPhone missed - and upset us by dropping the fancy aluminium back in favour of more reception-friendly plastic - but it turned out that the most important feature of the iPhone 3G wasn't the hardware or even the new iPhone OS. It was the App Store, which debuted on the device. Apple initially believed that the iPhone should just bookmark websites, but with the 3G they reversed that decision. That U-turn may have been the most profitable U-turn of all time: Apple has delivered more than 130 billion apps via the App Store. HTC won our best phone award in 2009 with the Hero, its Cupcake-running Android flagship - but it was the 2010 HTC Desire that really set phone fans' hearts aflutter. Many of the T3 team thought that it was better than the ubiquitous iPhone 4, with a blisteringly fast 1GHz Snapdragon processor, a great OLED screen and a five-megapixel camera with LED flash. We were also impressed that it could play Flash video, because that was still kinda important back then. The Desire was bigger, brighter and significantly better than Apple's offering, and HTC's Sense UI was one of the most attractive Android variants around. 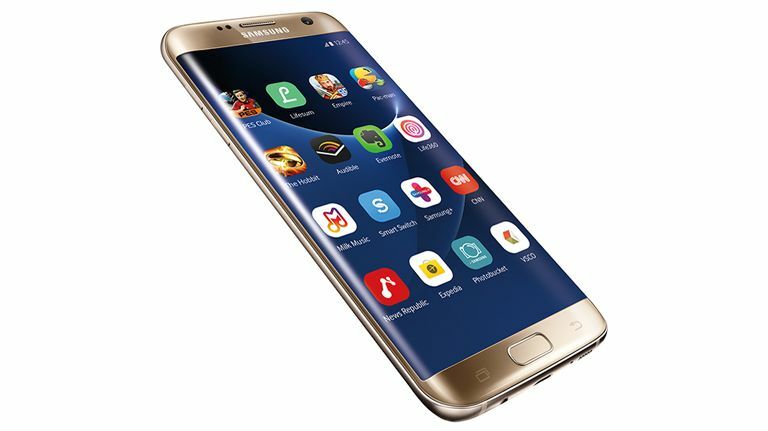 Samsung is a regular in the T3 phone awards - it nabbed a gong for its Galaxy S2 in 2011 and for the Galaxy S6 Edge in 2013 - but the Galaxy S3 was the most deserving award-winner. Its Android was Android 4 compared to the S2's Gingerbread, its processor was a quad-core Exynos compared to its predecessor's dual-core, and the Super AMOLED screen was full HD. Design-wise it continued Samsung's move from blatant Apple cloning to its own distinctive aesthetic, and it deservedly became the best-selling Android phone the world had ever seen. This year, of course, Samsung has the Galaxy S7 Edge - but it's up against the innovative LG G5, the 4K Sony Xperia Z5 Premium, the superb HTC 10, the monolithic Nexus 6P and Apple's typically beautiful iPhone 6S. Will your favourite win the crown this year? There's only one way to make sure: vote!